Taking good care of your action figure collection is easy. It takes very little time and will help your collection last longer, making for nice displays and maintaining their collectible value. Just like any collection (stamps, coins, comic books), action figures can be susceptible to environmental factors and aging. A few simple steps will help keep your action figures looking like new. 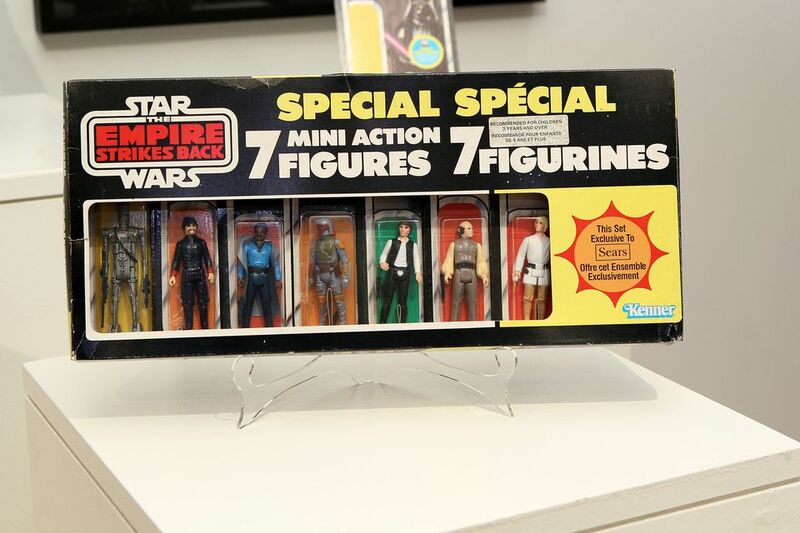 The materials that action figures are made from are far from indestructible, and can, over time, show signs of aging. Paint can chip or rub off; the plastic can become discolored, or dirt, grime, and dust can build up. Direct Sunlight: ​Too much direct sunlight can cause the plastic to become faded and blotchy. Heat: Intense heat, usually in conjunction with direct sunlight, can cause the plastic to become soft and misshapen. Humidity: High humidity can cause the paint on the action figures to peel and chip, can cause decals to fall off and joints to loosen, causing your figures to have a hard time maintaining their poses. Dirt and Dust: Dirt and natural oils from your fingers can cause a grimy buildup on your figures if handled too much. Dust, while not harmful to the figure, can build up and make for a less than pleasing display. Keep your figures displayed in an area where no direct sunlight can reach them. If they're displayed on a bookshelf or display case, make sure they are set in an area of the room farthest from any windows that allow in a lot of sunlight. Keep your figures stored or displayed in a room that keeps an average comfortable room temperature. Do not store your figures where excess heat can affect them, such as a garage or an attic. Nobody wants a melted collection! If you're storing your figures in boxes, use sturdy plastic storage containers with lids that seal on to help keep out excess humidity. Consider sealing each figure in its zip-lock plastic bag before they're put into the container. Cardboard boxes are not ideal for storage as they let in heat and humidity as well as often contain acids that over time can destroy plastics and discolor paint. Fight off dirt and dust build-up by handling your figures carefully. If they do get dirty, most figures can be cleaned by letting them soak in warm soapy water and scrubbing gently with a soft-bristled toothbrush. Dust can be easily removed with a can of air-propelled dust remover like you'd use on computer equipment and keyboards. If you choose to keep your figure in their original packaging, the packages themselves require some care. The materials used by the toy companies are meant to be temporary and thrown away after the figures are removed. Therefore they often use cheap materials that were never meant to be kept for a lifetime. Heat and sunlight can cause the plastic bubble that encases the figure (called a "blister") to become extremely brittle which can lead to cracking. Also, heat and sunlight can cause the glue that holds the blister to the cardboard backing (called the "card") to loosen, making the blister fall right off of the card and now your figures can be considered "loose" whether you like it or not. Direct sunlight can wreak havoc on the printing inks on the card, bleaching and fading the graphics in a matter of weeks and destroying its "mint" value. Be mindful of the backing card as it's made of inexpensive cardboard that can easily bend, crease or peel apart if handled improperly or dropped. Also, your finger's natural oils can cause the inks on the card to discolor or bleach if handled too often. All of these things will lessen the mint value of your figure, as other collectors look for these problems when buying or grading a "mint on card" action figure.